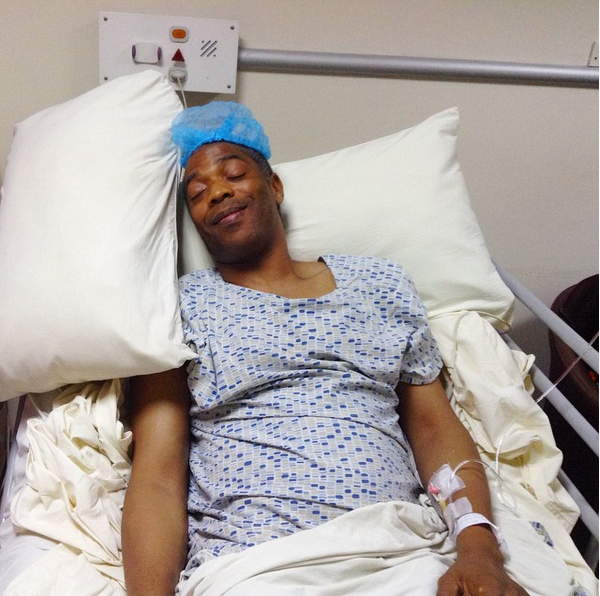 The sister of Afrobeat maestro ,Femi Kuti shared this photo of him and wrote "Femi Kuti after the operation. Smiling, high on morphine. It's a morphine thing"
His sister and business partner, Yeni Kuti didn't state the reason for the operation..
Wishing him quick recovery ..